The end of 2014 is staring us in the face and now is the time to start thinking about putting together your 2015 budget plan. The worst thing you can do is leave budgeting until the last-minute if your plan is to track your expenses over the entire year. Sure the ideal time to put a budget plan into action is the beginning of the year but starting a budget any time is better than no budget at all. The first thing you need to ask yourself is why you are planning? Do you have a mission in mind? If yes then you need a plan. If using a budget is your mission then you need a plan. Planning is part of a strategic planning cycle that starts with a mission then goals, desired outcome, strategies, measures/target and finally results. That’s how we measure success and in our home the budget is critical to managing our financial success even more so now that we have a son. As we were going over the November budget we talked about how not having a mortgage has affected our budget. It really does leave it quite naked but from a good stand-point and no I’m not complaining. With rising food prices expected in the new year and the cost of gas going up as high as it did in 2014 we may be forced to make changes to the numbers in our 2015 budget plan. Staying on budget for food this year has been tough and although it looks like we may reach our goal of spending $2820 for the two of us it was certainly worth the challenge. Keeping in line with inflation is one thing but pricing on some things have sky-rocketed. Making budget cuts is nothing new for us because if it has to be done we do it. With our mortgage gone we have invested a good chunk of that money which means that we still run a tight ship around here. Having an emergency savings is one step in our budget plan to help us feel secure in case something should happen. Do you have an emergency savings? With Christmas in a couple of weeks thinking about your 2015 budget plan now might help curb overspending especially if it’s all going on credit card (hopefully not). It’s no fun waking up on Jan 1 and thinking, “Oh man I have to pay all that back now”. I get lots of mail here at Canadian Budget Binder and one CBB Fan asked me, “Does a budget change based on what country you live in?” Not really. What he also wanted to know was whether he could still use our free budget download if they don’t live in Canada? Well of course he can. There’s no rule that says if you live in the UK that you must use a British budget or by residing in the USA you use an American budget as it’s not based on your homeland. Sure go ahead and download it! A budget is made up of categories and numbers so as long as you know what you want in your budget it doesn’t make a lick of difference where you live. Especially now that we are coming to the end of the year I see more people landing on the blog searching for information about their 2015 budget plan. They may have never used a budget before but come Christmas with all the food and gifts that may end up on credit seems to cause some people to panic about paying back the debt in January. A budget is not going to be the immediate answer to everyone’s debt prayer as it’s simply a vehicle to get you where you need to go financially over time. If you create a budget plan you have to make sure you drive the vehicle and if you park it make sure you test the engine at least once a month. Don’t think that you can create your 2015 budget plan and park the vehicle for the year because you will find that your budget will not only change but you won’t be saving and spending what you thought you were. You have to track your expenses monthly and accept your budget plan as part of the family which means it deserves attention. Once you download my free budget feel free to read my 10 step budgeting series to help motivate you get started with your new budget plan. 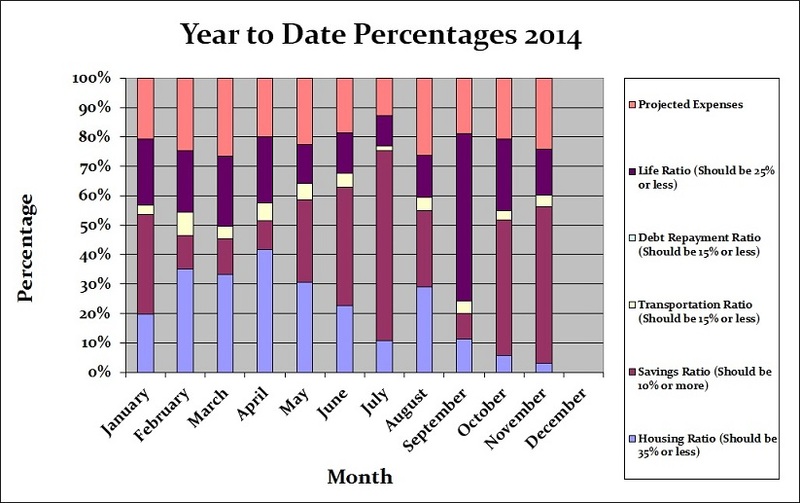 Are you thinking about a 2015 budget plan? Car maintenance- Since the snow is here that meant that we get our Krown undercoating done which cost us about $135 with an annual $10 good customer discount. Gas (vehicle)- It was nice to see our gas budget go down a bit this month since we’ve seen prices drop. It’s not the same price when I moved to Canada at $0.97 cents a litre but I’ll take it. Entertainment- The wife, our son and I made a few trips to the mall and ended up having lunch which was a nice change for us. We also splurged on Starbucks Chai Latte which is my wife’s favourite tea. Grocery- We ended food shopping in November over budget by $12. 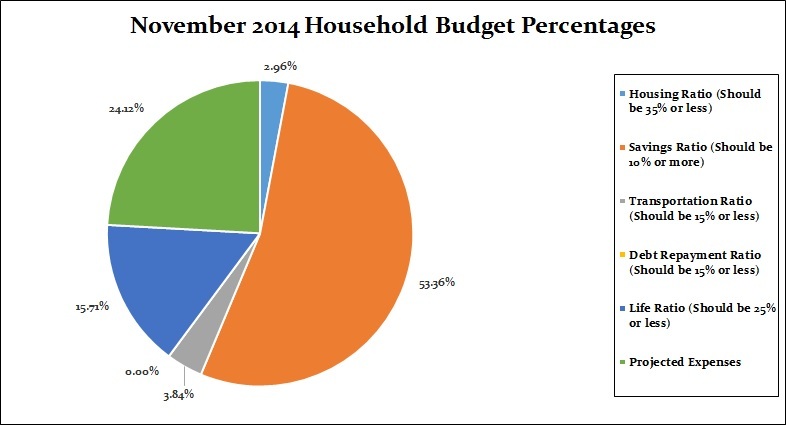 As you know our November and December grocery budget is $102.11 since we had a huge overspend in October. Find out if we can stick to our grocery budget for 2 for 2014 $2820 with a monthly $20 stockpile allowance. Baby- We loaded up on diapers this month since we got an amazing deal at Target. We bought 4 jumbo boxes of diapers with a regular cost of $41.99 for $18.99 each after coupons. Investments- This category has been updated as I am investing more in my RRSP. Surprisingly there were no unexpected expenses for the month of November which we welcomed since we had more than our fair share of surprises the past few months. We almost didn’t have a clean run in November though. Just the other day we thought for sure we would be buying a new refrigerator since it stopped working in the middle of the night. Of course the wife wakes me and by 2 am I have our refrigerator torn apart and in pieces all over the kitchen floor. It turned out the fan in the back of the refrigerator had ice build-up to the point where it caused the fan to seize. It took me about two hours from start to finish to get the refrigerator back up and running. Normally one would put it on defrost by turning the refrigerator off called a “manual defrost” but that wouldn’t have fixed the problem since I noticed the fan was coming off the motor. It was worth pulling the refrigerator apart. Now it’s quiet and works like a charm. When it comes time to renovate the kitchen I’m pretty sure our new refrigerator will set us back about $3000 so I’m hoping this gives us time to keep saving so we pay cash for all of our renovations. The only budget changes were with our investment category. We met with our financial advisor earlier this month and I’m now contributing more to my RRSP since we have extra money. I still have plenty of RRSP room and am hoping to double my contribution at some point starting in 2015-16 to start maxing out. Once I catch up with my RRSP I’ll be piling money away into the TFSA as I’m not putting that much away now but something is better than nothing. I’m hoping once I get hired full-time at my part-time job that will ramp up my defined benefits so then we can revisit my RRSP contributions. Right now I’m in the program but not too much is invested since I only work part-time. Our savings of 53.36% includes savings and investments and emergency savings for this month. The total spend this month comes to a nicely rounded 100% which shows that we spent our income this month, invested extra and used the rest as emergency savings. Our Life Ratio which for this month was 15.71% and quite low for a change. Our projected expenses this month is at 24.12% which now includes some increases due to overspend explained in the 2013 year in review. Below you will see two tables, one is our monthly budget and the other is our actual budget for the month of November 2014. This budget represents 2 adults and baby on the way plus all of our investments. Below were our tasks in November. Beside each I’ve left a comment after reviewing each. Hide the wires for the flat screen TV in the spare bedroom- FAIL Didn’t have time to do this. 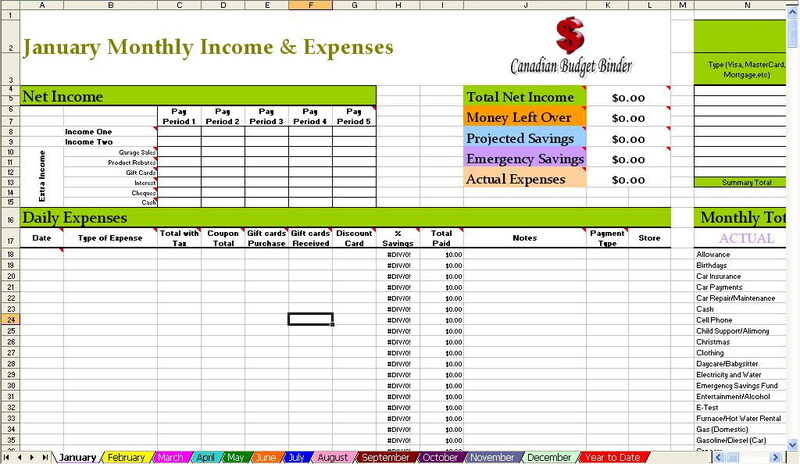 Complete projected expenses tracking sheet for budget (ongoing)- FAIL I’m so behind right now! Reach 3700 Twitter Followers- FAIL I think I was being optimistic with this number. Reach 6540 Facebook Followers- 6539 FAIL by one fan!! Reach 1880 Pinterest Followers- FAIL 1874 Just short! Reach 2675 Followers The Free Recipe Depot Facebook- FAIL 2657 Just short! Help a new blogger with a task or question- PASS I chatted to quite a few new bloggers this month. Finish a page on the blog I’ve been working on- I’m still working on this, almost completed. Finish the bathroom renovation- FAIL I’m working on it slowly. Hang Christmas Wreath- FAIL I’m not hanging it this year, too busy. Cleaned the garage out completely- PASS It’s super clean if I must say so myself. I’m not going to add too much for December as we are only home for two weeks then we are off for the holidays so there’s not much time to get anything done. Reach 152 Followers Bloglovin- This is NEW!>>> Follow me HERE! 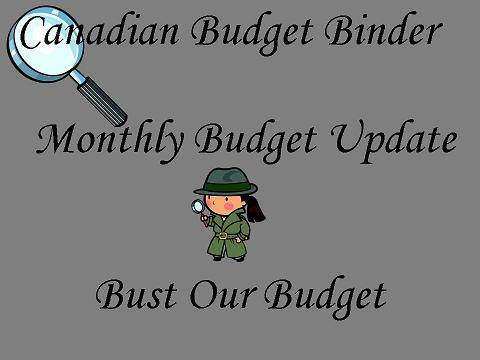 That’s all for this month check back at the beginning of December 2014 to review the final budget update of the year December 2014 budget to see how we made out following our own budgeting rules. Hi, I’m new to this budgeting method, or all together budgeting itself. I just recently got married a couple months back and have a huge school loan that I still need to pay off. Your website and budgeting spreadsheet has really helped. I had a suggestion though, you should really consider making a short youtube video helping newbies like me who have no finance background filling these templates out, just explaining the basics and the importance of it all. Funny the timing on this subject… I’ve been thinking about next years numbers and how I can work things. I am looking to go through the check books for the last year or so to add things up in each category so I have a starting point. Might have to go back a couple of years to remember what we paid for the sticker on the truck as we did 2 years in one shot. Another consideration on that is changing the name on the papers for the truck over to my name or not.It’s only $10.00 to shift it over but………that would have the stickers due in December if we change it. Right now they come due in June…… Something we need to think about but it might be better to just let that one ride.Not sure how I can work projected amounts but I will see what I can do….. Grocery budget will stay the same I hope. Good you were able to fix the fridge there Mr CBB!!!! We all have things to do around the house that don’t get down when we would like them to but life can get in the way some times….. I started thinking about our 2015 budget recently but then I “stopped” thinking about it. All our savings are already set to be taken out automatically so there’s no real need to change our budget. We’ve got an emergency fund set up so anything unexpected is covered. The one thing I haven’t factored in is any additional freelance work I pick up. Should I save it all, or spend a bit of it? I just opened my January 2015 worksheet the other day and there are lots of little increases in many, many categories over the January 2014 version BUT I am reducing some of our vacation savings to cover them and it’s all about wiggle-wiggle jiggle-jiggle for us. 🙂 I NEVER reduce RRSP or TFSA contributions. Even when hubby was unemployed and re-training…we still maxed out. I do the absolute best I can with the funds we have to work with each month but we’re incurring a couple big expenses in Nov and Dec. Hubby saved to cover the computer purchase but it’s in his little “mad money” account & I hate to make him cough up the cash so I am finding the money to pay the $1,000 needed within the family budget. Merry Christmas sweetie! We are also looking at getting him 2 new pairs of glasses and lenses. We’ll get a portion of one pair back from the insurance company but any medical reimbursements we received are saved for an eventual car replacement. I like to keep the books clean and record the expense in the year it occurs. Any future reimbursement is like “found money” in my opinion in that was not “earned” and I redirect the funds to any savings goals we have that I simply do not have enough monthly income to support. I have a future payments account that we’ll tap for hubby’s eye glass purchases. 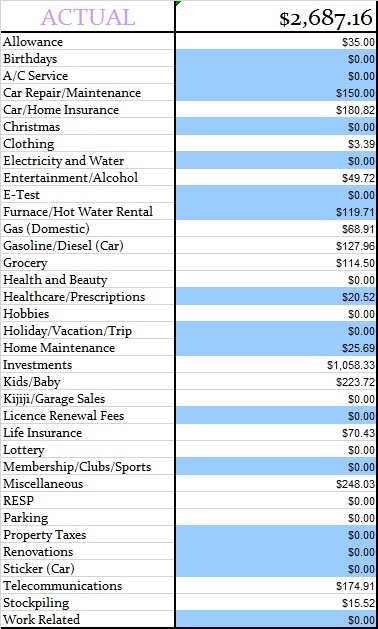 Ever noticed that irregardless of Christmas expenses, the year end is mighty expensive?